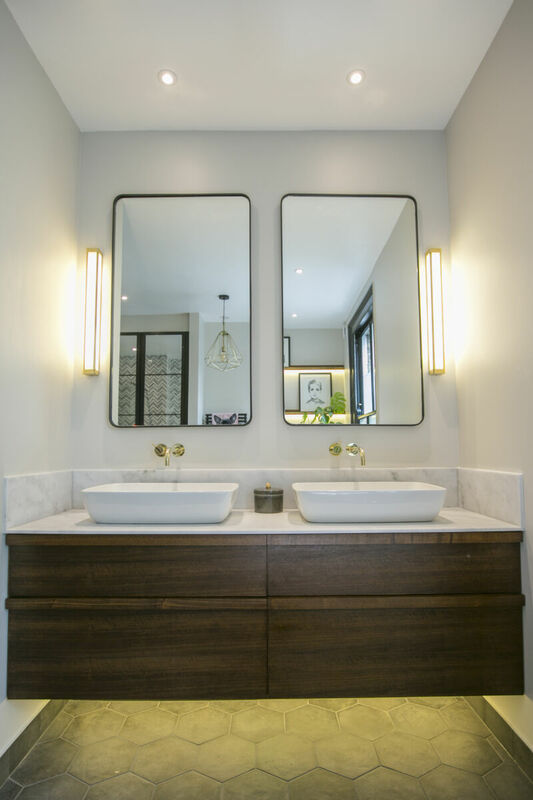 South-London based Interior Design Agency Otta Design have completed a luxurious bathroom project in Wandsworth, using a mixture of Warm Wood, Polished Brass and statement monochromatic designs to create a luxurious environment. 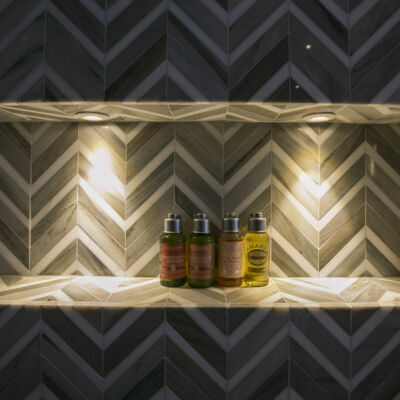 With an eclectic scheme throughout the home, Alex and Ali from Otta were able to explore a range of finishes, shapes and materials, choosing statement chevron and hex tiling together with high shine and matte-black finishes. For the showering space, Otta selected the Matki-ONE Wet Room Panel with Wall Brace Bar. 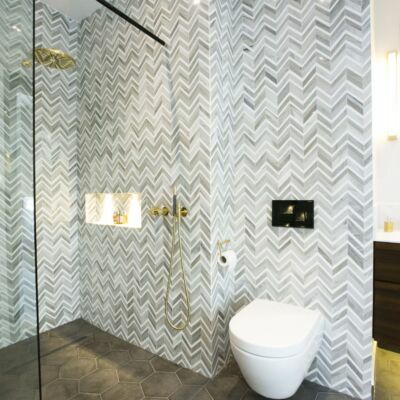 The Frameless design of the panel brings the defined chevron tiles to the fore, while offering a glamourous Wet Room feel. 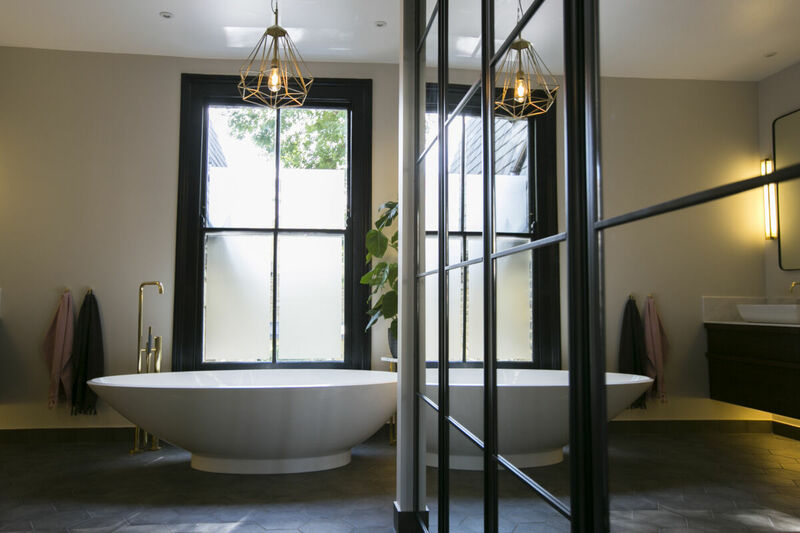 The Panel has a black wall profile and a black Brace Bar with Brass detailing, pulling together the palette of finishes used throughout the Bathroom. 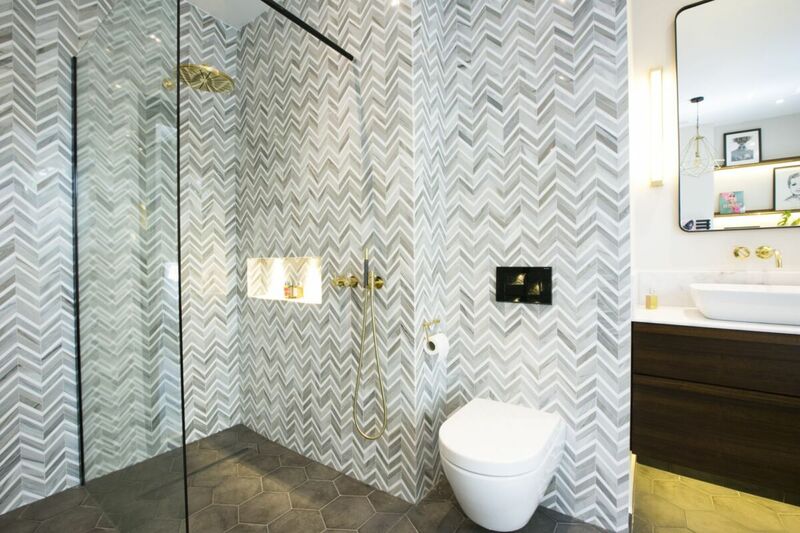 Matki-ONE Wet Room Panels are also available with Silver, Black or White wall profiles as standard, as well as Architectural Bronze as a special metallic option; a Framed-Effect is also possible in keeping with the trend for prominently framed glass. 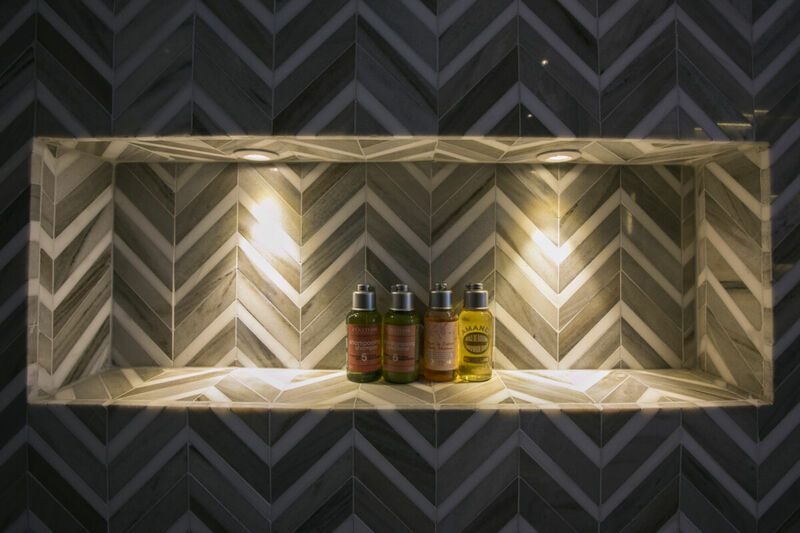 The detailing can be further customised with Chrome, Copper, Brass, Black, White, Green, Red and Blue colour and metallic finishes available to order. 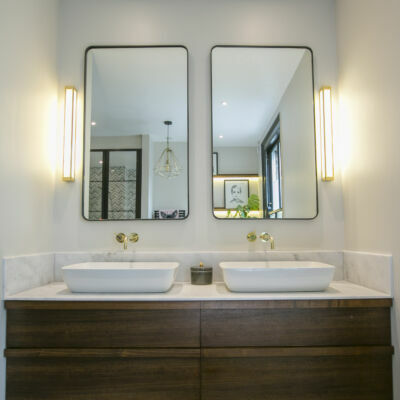 Otta Design are based in Ealing and Battersea and work closely with Architects and Homeowners on interior design work, kitchen and bathroom renovations and spatial planning.